CSU will honour former Deputy Vice-Chancellor (Academic) Emeritus Professor Ross Chambers in recognition of his exceptional services to the University and the Australian Centre for Christianity and Culture in Canberra. 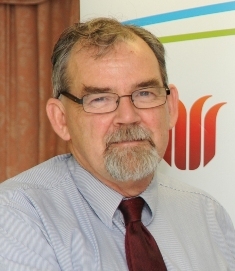 Charles Sturt University (CSU) will honour former Deputy Vice-Chancellor (Academic) Emeritus Professor Ross Chambers in recognition of his exceptional services to the University and the Australian Centre for Christianity and Culture (ACC&C) in Canberra. The Honourable Margaret Reid, AO, will officially open the newly-completed 'Chambers Pavilion' located on the CSU campus in Canberra on Wednesday 14 June. Professor Chambers (pictured left) made many significant contributions and held numerous appointments at CSU, culminating as Deputy Vice-Chancellor (Academic) for a decade, from 2002 to 2012. The Executive Director of the ACC&C the Rt. Reverend Professor Stephen Pickard said, "The University Council has conferred the official naming of the 'Chambers Pavilion' in recognition of Professor Chambers' contributions to the University and his role in the establishment of the ACC&C. "This acknowledges his guidance and energy for the vision and development of the Centre and his dedicated chairing of the ACC&C Board for 10 years. "Professor Chambers has strong and long-lasting links with the ACC&C having worked with the then Vice-Chancellor Professor Cliff Blake, AO, to negotiate with the Anglican Diocese of Canberra and Goulburn to establish the ACC&C and to secure land leases. "He served as the University's representative on the Board of the Centre from its inception, and from 2002 to 2015 served as Chair of the Board of the ACC&C. He has maintained close links with the programs of the Centre since he retired, especially programs with Indigenous communities and in Christian-Muslim dialogue. "Professor Chambers continues to serve as an ambassador for the Centre." Some highlights of Professor Chambers time as Chair of the ACC&C include helping host the Global Network for Public Theology; the development of the Bible Garden and the construction of George Browning House; the development of the scholarly community based in George Browning House and the quality of their work; the Indigenous and inter-faith programs of the ACC&C; the Department of Foreign Affairs and Trade-sponsored programs with Indonesia; and the growth of the art, worship and public lecture programs at the Centre. Professor Pickard (pictured left) explained that the ACC&C began in 1998 as an ecumenical venture for engagement with Australian culture and the issues of the day, and is unique in Australia. It was established through a partnership between CSU and the Anglican Diocese of Canberra and Goulburn, and is situated at the eastern edge of the Parliamentary Triangle in Canberra. "Following the completion of George Browning House in 2009, the Chambers Pavilion is the latest stage of the development. It is a new multi-purpose meeting and teaching centre available for use by the University and ACC&C personnel, as well as by community groups," Professor Pickard said. The Chambers Pavilion incorporates a multi-purpose meeting room supported by a kitchenette and staff amenities, adjoined by an entry lobby to the gardens beyond. The facility is situated to take advantage of the natural beauty of the location and the view of the Great Cross, which is being refurbished as part of the construction works. The official opening of the Chambers Pavilion is at 5.15pm on Wednesday 14 June at the CSU Australian Centre for Christianity and Culture at 15 Blackall Street, Barton, ACT. The opening will be attended by many distinguished guests and dignitaries. For further queries regarding this event, please contact Ms Michele Lamb, ACC&C manager, on (02) 6272 6203 or milamb@csu.edu.au. Contact CSU Media to arrange interviews with the Rt. Reverend Professor Stephen Pickard. Taught political and social thought; Russian history; ethics; and social policy. 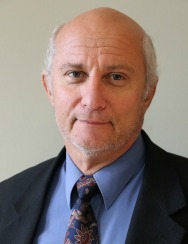 Promoted to principal lecturer in 1988 (translated to Associate Professor on formation of CSU). Acted as Head of Campus for Port Macquarie on a part-time basis from 2013 to 2015 following retirement as DV-C in 2012.